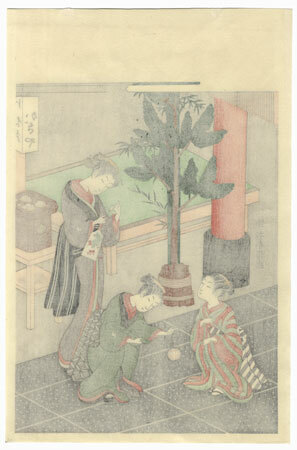 Comments - Charming scene of a beauty and two young girls at a tea stand near a shrine, amusing themselves at the New Year. 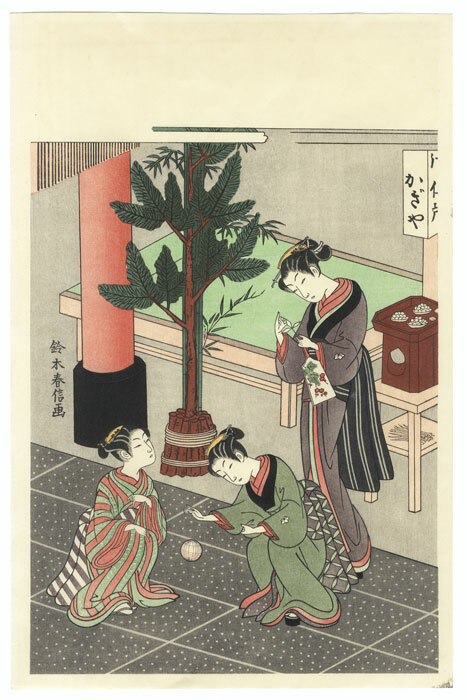 The girls take turns bouncing a ball, while the beauty holds a decorative paddle and feathered shuttlecock for a traditional New Year's game similar to badminton called hanetsuki. 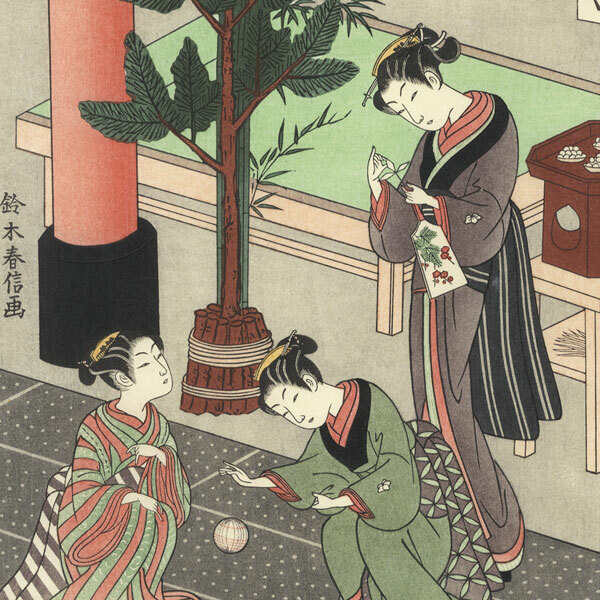 A holiday decoration of pine and bamboo stands next to a red pillar, a bench behind them and an offering tray holding plates of tiny rice cakes at right. An attractive design with lovely color. A limited edition reprint numbered 18/500 on reverse. Condition - With excellent color and detail as shown. Please see photos for details. Very nice overall.